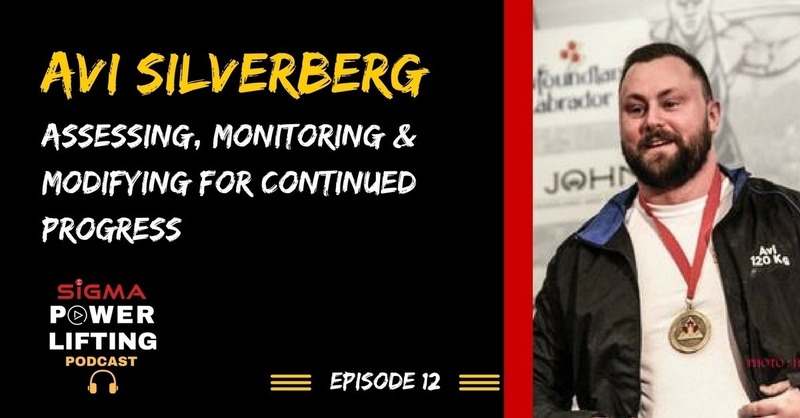 Episode 12: Canadian powerlifter and coach Avi Silverberg is on the show to discuss tracking metrics and monitoring training. Avi Silverberg is a 3-time World Team athlete, bronze medalist at the 2010 World Bench Press Championships, two-time Overall National Bench Press Champion, National Bench Press Record Holder, and member of the Canadian Powerlifting Union Hall of Fame. 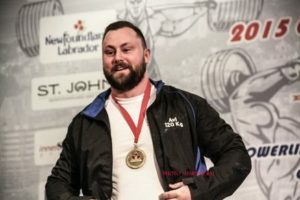 Avi’s coaching resume includes being named three times as the Head Coach for Team Canada Powerlifting; coaching the 2012 World Bench Press Team, 2013 World Junior/Sub-Junior Team, and 2014 Classic World Team. All teams combined produced 34 podium finishes. Avi has also coached seven National Champions, achieving a total of 17 National records. In addition to Avi’s coaching resume, he is also an accomplished lifter. Avi is a 3-time World Team athlete, winning a bronze medal at the 2010 World Bench Press Championships, and boasting a career best bench press of 300k/661lbs. Avi puts a strong emphasis on the science behind sport performance. Avi is a Master of Science candidate in Kinesiology, researching the impacts of elite-level powerlifting on the aging process. Throughout this research Avi has contributed to the body of knowledge on long term athletic development and exercise science. Avi is the founder of My Strength Book, an application lifters can use to log, monitor and assess training, as well as get access to training programs created by world class coaches.